With only 45 minutes from the city of Ubon, a village located along the Dom River. 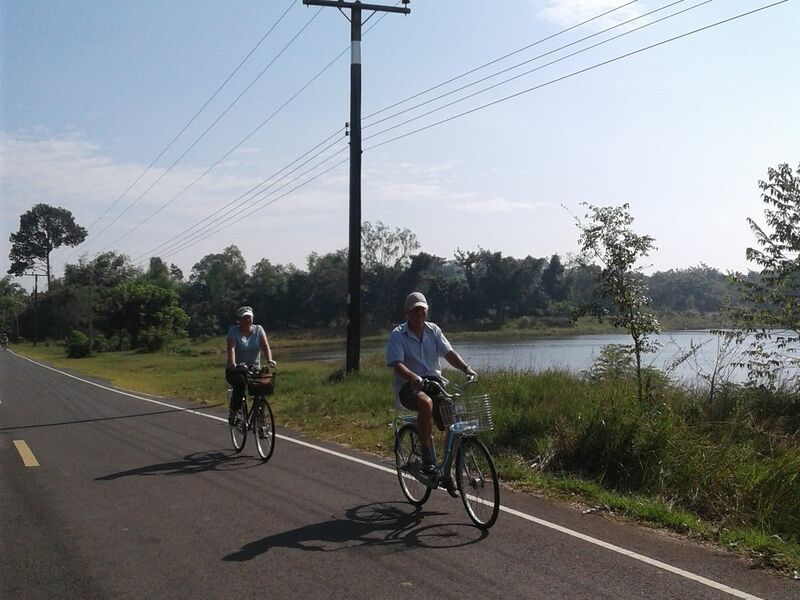 My day tour will offer you an authentic Isan countryside experience with a bike trip through the village to go to farm and picking some material for cooking class. We will start to learn how to cook authentic Thai food and local Isan food, preparing the materials together, learn some tips, cook by yourself and take home for dinner. Leave the village to go back to town and stop for evening market on the way to your hotel. The price not included pocket money, beverage, snacks or alcohol drink. Travelling in Isan without knowing how do they live. It's like you not arrive Isan. Come into their places learn their life, work, eat & stay will make you feel like local. You also get the hospitality from the local people who teach you how to cook. Please wear hat and put sun screen on. Better wear closed shoes and long trouser because at the farm there are many red ants.